The film starts off before the accident that leaves astronaut Mark Watney stranded on Mars. We as viewers see the Hermes crew collecting samples before everything goes to hell. We see Watney struggle through those first painful hours when he’s still recovering from the accident. By contrast, the novel starts off after the accident, when Watney has already come up with a plan for survival. This opening scene changed the way I saw the story. I remember the book primarily for its humor. Andy Weir is one of the funniest authors I’ve ever read in a genre outside of comedy. Despite Watney’s dire ordeal, I never found the book depressing and never feared for his survival. Not so in the movie. 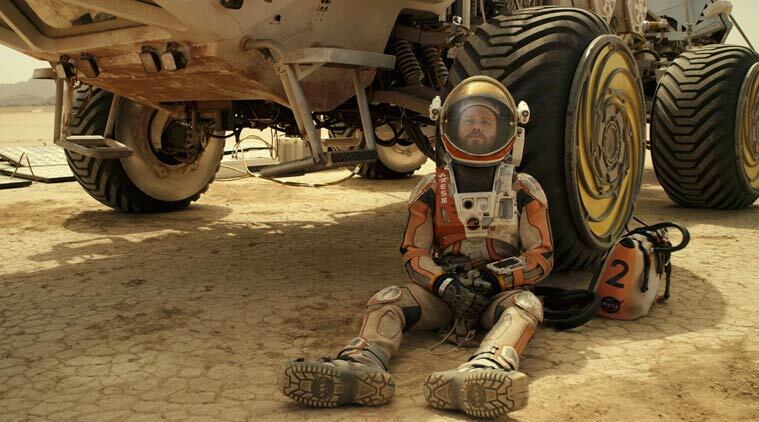 Ridley Scott’s The Martian focuses much more on the survival aspect of the story. Watney still retains his trademark humor, but we also see him sink into despair a bit more frequently. Personally, I prefer Scott’s take on the character. Book!Watney always came across as a bit too one-dimensional for me, always a bit too upbeat and confident given his predicament. Movie!Watney isn’t a total departure from the book character, but helps the movie feel more grounded. Some of the peripheral characters underwent a similar transformation, losing some of their more comedic aspects and becoming more serious. That said, I’d have a tough time saying I prefer one version over the other. Both the book and movie tell versions of the same story, and both do so well. Because of the nature of the medium, the book has much more space to tell its story, and it uses that extra space well. The movie doesn’t completely omit the science, but it obviously can’t go into the detail that the book does. Fortunately, The Martian remains a compelling story even if you know the outcome, so if you’ve already consumed one version of the story, I highly recommend checking out the other. The two supplement each other well, with the book providing the science and humor, and the movie providing the visuals and drama.